The Jungle Book 또는 Talespin? What is your 가장 좋아하는 Jungle book. The fans pick: The Jungle Book. 가장 좋아하는 live-action Jungle Book movie? What do 당신 think of Netflix's Mowgli: Legend of the Jungle (2018)? What do 당신 think of Disney's The Jungle Book (2016)? 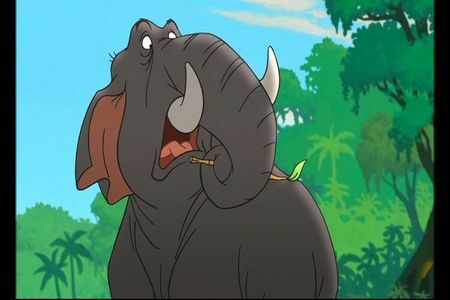 What do 당신 think happend to King Louie that stopped him from appearing in Jungle Book 2? Did he die? 또는 Did he run away? Is there such a thing as jungle book 바탕화면 for a little boys room? If so where can i get it? I grew up on the 1967 animated The Jungle Book and to this day, I still 사랑 watching it as an adult. There was a remake back in 1994 as well as a prequel movie and to me, neither one was that good and did not have that heart. Then there was a sequel to the animated movie back in... 2002, I think. And it's not that good either and actually didn't even need to exist. So how does our newest take on the story hold up? a poll 추가되었습니다: 가장 좋아하는 live-action Jungle Book movie? a poll 추가되었습니다: What do 당신 think of Netflix's Mowgli: Legend of the Jungle (2018)? a poll 추가되었습니다: What do 당신 think of Disney's The Jungle Book (2016)? a poll 추가되었습니다: What do 당신 think of The Jungle Book: Mowgli's Story (1998)? a poll 추가되었습니다: What do 당신 think of The 초 Jungle Book: Mowgli & Baloo (1997)?